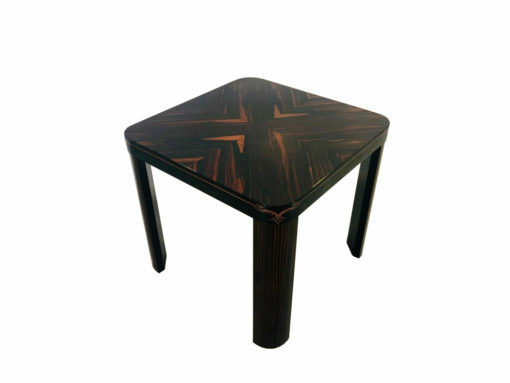 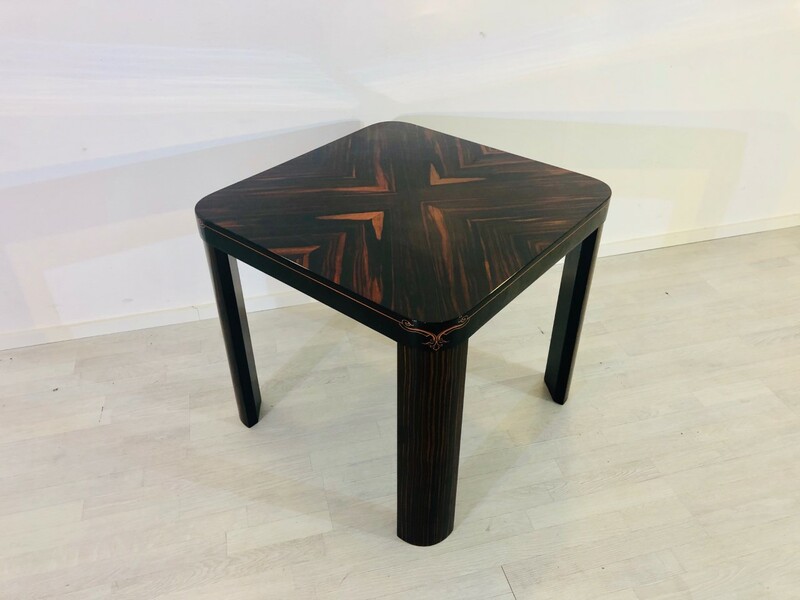 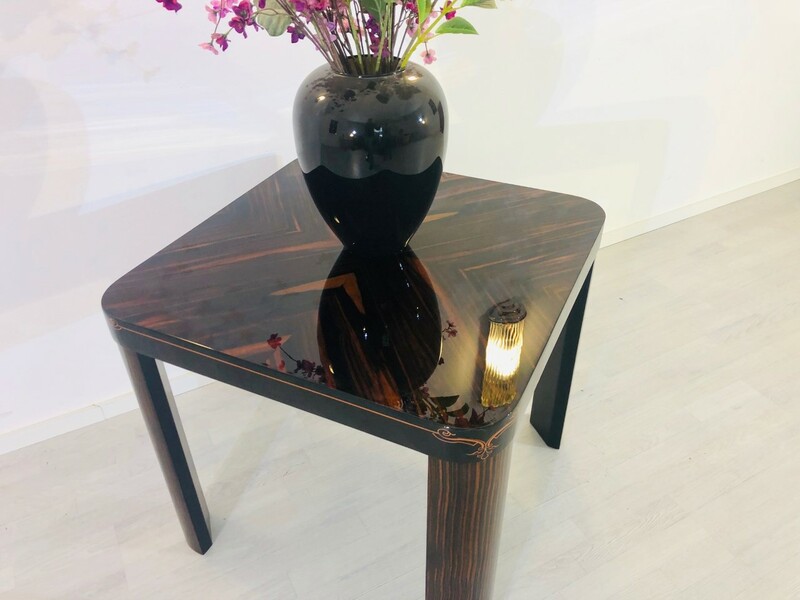 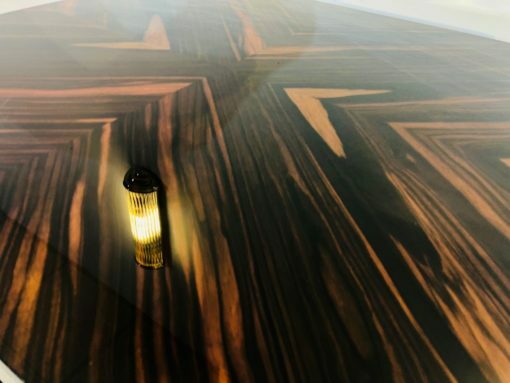 Luxurious Art Deco coffee table or end table made of wonderful macassar wood. 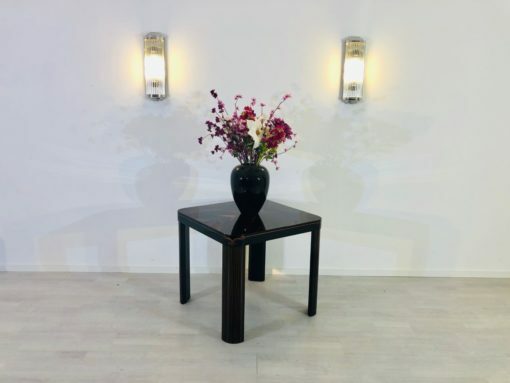 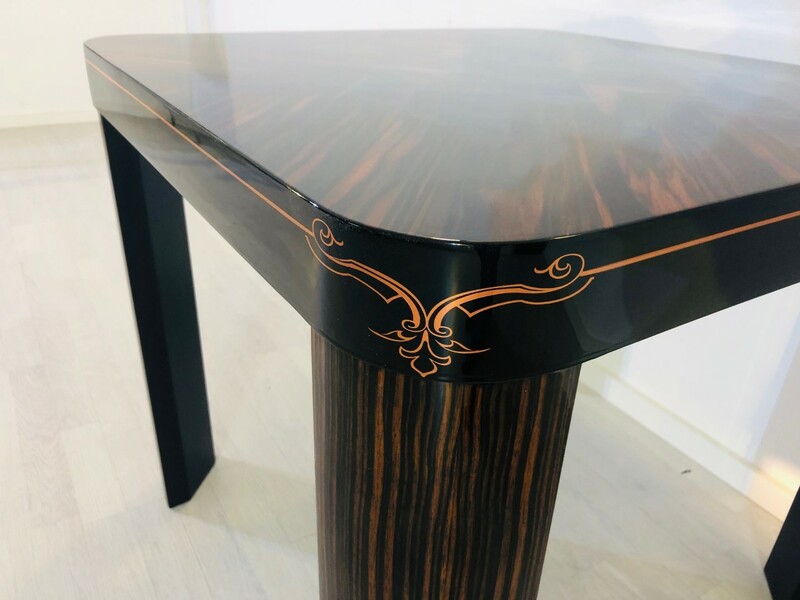 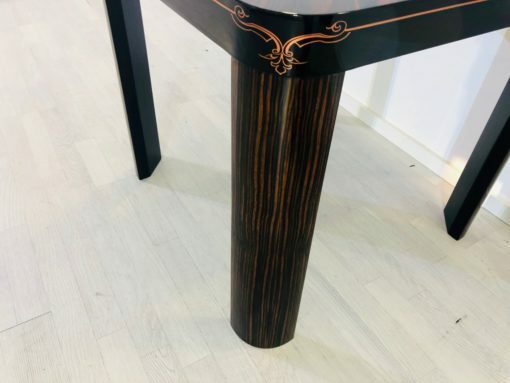 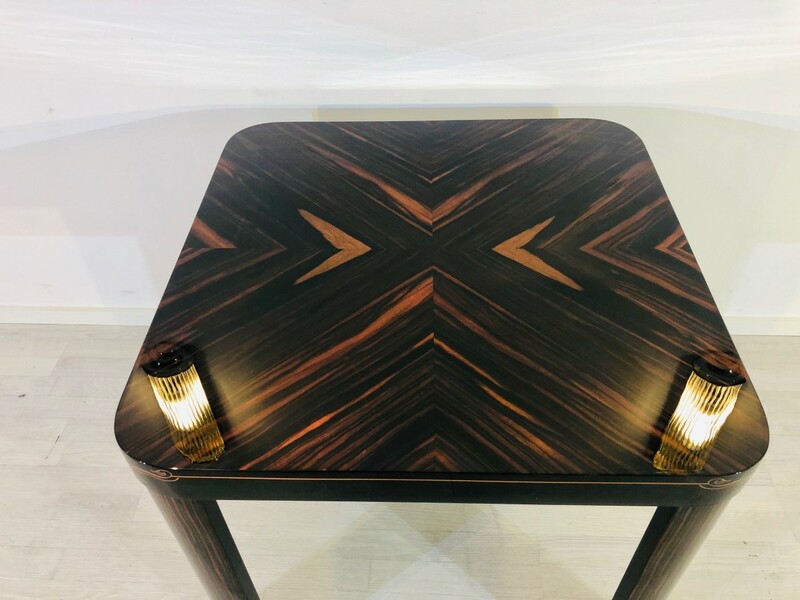 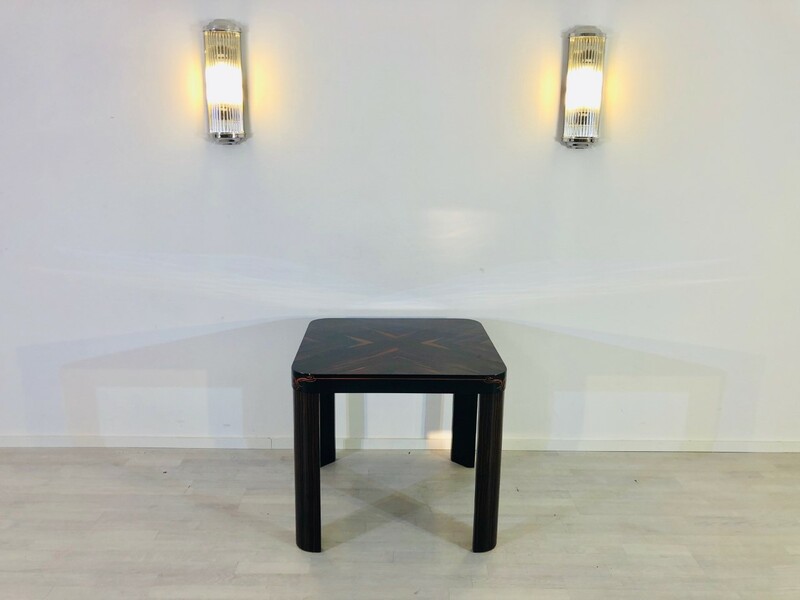 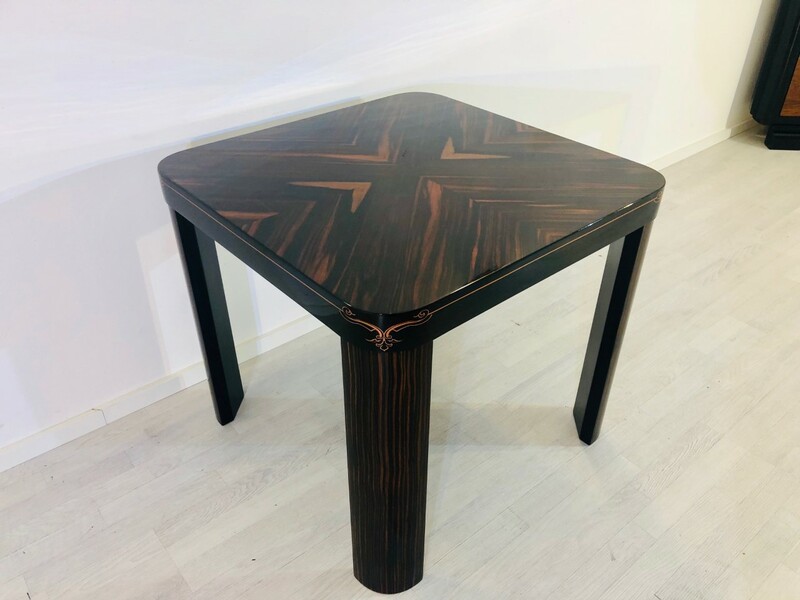 Restored with a high gloss finish this single piece convinces with elegant inlay works around the tabletop and with a beautiful star veneer on top. The modern design of this original 1920s table fits perfectly into every living- or bedroom. Feel free to reach out with any questions.